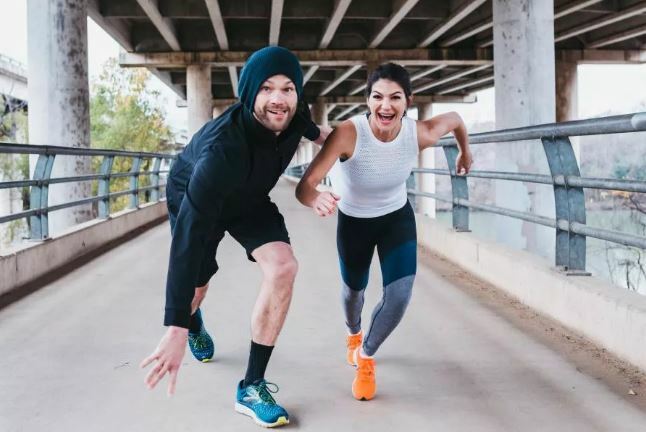 Supernatural stars Jared and Genevieve Padalecki have been training since last December to run the Boston Marathon. This is the third full marathon for Jared but the first for Genevieve, as they ran the full and half respectively for the Bad Idea Tour at the Seattle Marathon last year as well as a half marathon for Gen in Austin, TX this past February. 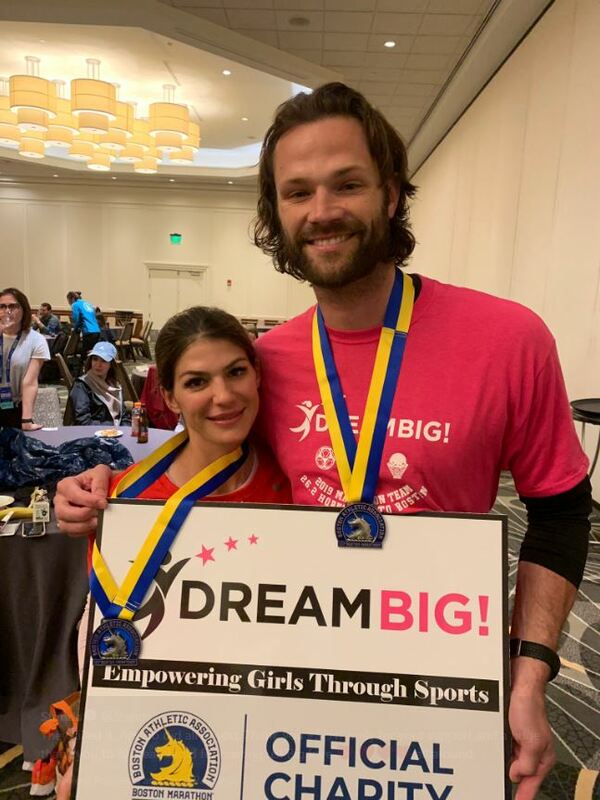 Team Padalecki began a Crowdrise Campaign in conjunction with the Boston Marathon to benefit Dream Big, a charity that works with girls from low income families to make sure they have the basic items and program fees needed to be able to participate in sports and physical activities that contribute to their overall well being. Genevieve finished strong with a time of 3:36:59, running an 8 minute mile. Jared stopped frequently to greet fans and take pictures and arrived almost an hour behind Gen at 4:32:24, running a 10 minute mile. All of their training and effort were rewarded with a successful campaign, raising $31,136 against a $30,000 goal. At the time of this article’s posting, donations were still being accepted on the Crowdrise website here. Congratulations to the Padaleckis on a successful campaign and an amazing run! We salute your continuing drive to support worthy causes!